News by Matt S and Lindsay M.
Oh boy is the Switch on track to become the house for dungeon crawlers. NISA has announced that the Kadokawa-produced Lovecraftian dungeon crawler, The Lost Child, is coming to Nintendo Switch, in addition to the previously-announced PlayStation 4 and Vita releases. In the game you play as Hayato Ibuki, a journalist for an occult magazine, who finds himself with the ability to capture and use demons. Yep, this is ‘crawler meets Pokemon. You’ll be able to capture more than 100 of the monsters, as well as make use of over 250 skills… and you’ll be doing that across up to 100 dungeon floors. Combine the stunning art style and theme with that much meat, and you’ve got the perfect Switch game, really. This one releases in Summer 2018 (Winter for us Aussies). As a child, I firmly believed brown cows to be the source of chocolate milk. White cows give white milk, obviously, although I never did figure out where strawberry milk comes from. I kid, I kid; but I’m sure I wasn’t alone in that thought in my first few years of life. But now? 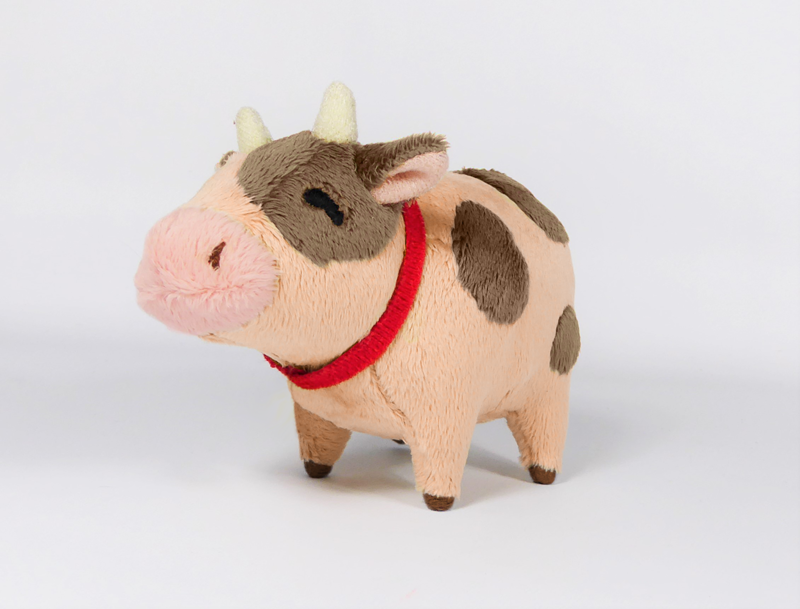 Now you can have your very own chocolate cow! Pre-orders are live for Harvest Moon: Light of Hope Special Edition (PlayStation 4 and Switch) in North America and Europe, but it seems this sweet cow is currently restricted to North America. It’s included as a bonus with the standard boxed version of the title. Light of Hope is the most recent in Natsume’s Harvest Moon series (if you’re looking for the original Harvest Moon developers, you’ll want the Story of Seasons series) and has already been released for PC. Players find themselves shipwrecked in a small harbour town that’s been destroyed by the storm, and some hard work is needed to repair the town as well as run a successful farm. Light of Hope Special Edition is launching this May in North America and June and Europe. God Wars on Nintendo Switch is coming westward, whoo! Not long ago we reported that Kadokawa Games was going to port God Wars to the Nintendo Switch. As a massive, gorgeous, smart tactics JRPG, we loved the game on the PlayStation 4, but like with most things, having it portable could only make it better. And the NISA made our week by announcing that the port will also be released in English. The full title is God Wars The Complete Legend, and it releases in Fall (Spring in Australia). In addition to the massive base game (and you are looking at a solid 50 or so hours there), The Complete Legend includes The Legend of Yomi, which offers another 100 hours of stuff to do. This release also includes all the DLC that was released to the base game. Don’t fear people who have the game on PS4! You’ll be able to upgrade that version too. Final Fantasy Dissidia NT launched last month for the PlayStation 4. In his review, Matt S. praised it for having, “the same basic essence and tactics of a fighting game, but presenting in a very different way, which requires a very different mastery.” The title brings together different Final Fantasy titles by pitting their characters against each other. In arcades, Dissidia Final Fantasy will receive the stage on February 22 as part of a larger update. PlayStation 4 players will have to wait for late March to download the stage.